Need Hope? Draw It Down! The image above is from the website, http://www.drawdown.org. I could spend hours summarizing what can be found there, but really, I think you should just go to the website and wallow in hope and solutions for a few minutes (or days). Really, we can do this! The world does not have to end for us to draw down greenhouse gases enough to reverse the worst impacts of climate change–in fact, a more peaceful, healthy, and beautiful world is within range. All we have to do is stop fighting with each other, and focus together! Easier said than done, I know, especially when it seems that no one here in the U.S. can get along, but at least there’s a roadmap for a set of solutions. We just have to get on board. On the West Coast anyway, there’s been lots of buzz about Chinese investors buying up U.S. properties as investments. Now, Jack Ma, the founder of Alibaba and China’s most wealthy individual, has spent $23 million to buy a property in the Adirondack Mountains and turn it into a wildlife preserve. It is a beautiful property — 28,000 acres of rolling, forested mountains with good wildlife habitat and pristine streams, ponds, and river stretches — according to the marketing video, below. This rural New York parcel, surrounded by Adirondack Park, includes some of the best brook trout fishing in the country. A previous owner donated a conservation easement on the property to the Nature Conservancy. This restriction means that Mr. Ma may now carry out only certain activities on the property. In this case, he may do some logging and construct nine more homes on the land, but may do no commercial development. While enviros were hoping that the state of New York might purchase the property for a public park — or that a nonprofit might do so and hold it until it could be sold to the state — it was simply too expensive. In addition, the conservation easement already in place provides pretty strong protection, so this parcel wasn’t a high priority for state or nonprofit acquisition when compared to other properties at higher risk of development. Now, if our many American billionaires would join Mr. Ma in protecting wildlife habitat by purchasing it, that would be great! Americans finally believe climate change is real. A recent poll shows 76% of Americans now know climate change is happening. Even a majority of Republicans, whose party has been in aggressive denial about this issue, now understand it’s a problem. Our politicians have the population’s mandate to act. They must therefore stop throwing roadblocks in the path of important and necessary policies, like the EPA’s new Clean Power Plan, which will set the first nationwide limits of power plant emissions (the U.S.’s largest source of greenhouse gas emissions). Other important greenhouse-gas producers, like China, are cutting emissions too. China is a particularly important example — it’s both the world’s largest population center and our largest emitter of greenhouse gases. The Chinese government is experimenting with carbon trading markets in five cities and two provinces, which altogether contain almost a fifth of China’s population and produce a quarter of its gross domestic product (economic output). This is in preparation for launching a Chinese national carbon trading market in 2017. This is a good sign that China is taking its responsibility to act on climate change seriously. The U.S. and Cuba are getting along. I posted recently about how Cuba and the U.S. have agreed to work together to monitor marine life in the oceans between the two nations. Because many important marine species cross the international boundary, monitoring them has been challenging. Now the two nations will share data that will make science-based management of fisheries and other ecosystems possible. Scientists finally have a handle on methane emissions. Methane, which is many times over a more potent greenhouse gas than carbon dioxide, is emitted as a byproduct of many processes, particularly those in the oil and gas industries. With new data in hand, states, scientists, and climate activists are now able to push for stronger regulation of methane emissions. Thanks to a series of 16 research projects conducted over the past five years, there is now strong enough data on this pollutant that the federal government has proposed, for the first time, methane-specific regulations for the nation. Read more details about these issues at the Environmental Defense Fund website. Photo in body of post taken from EDF website. Header photo from U.S. EPA. View original post here. Now, thanks to a captive breeding program, there are over 2,000 of them worldwide, with about 350 living in the wild in Mongolia. These little horses are the last truly wild horse species in the world. The American mustang and other well-known “wild horses” are actually feral rather than wild — they descended from domesticated horses that got free and chose to live in the wild rather than go back to captivity. The Przewalski’s horses are not out of the woods. There are concerns about their survival in the age of climate change should Mongolia begin to experience unusually harsh winters. And it is possible that they may interbreed with feral horses, diluting their bloodline so that they would no longer be a distinct species. But the Przewalski’s horse seems to have avoided the biggest threat to species recovering from near-extinction — a lack of genetic diversity leading to inbreeding and health problems. Read more at Smithsonian here. Read more at Newsweek here. All images taken from the sites linked above. It has been a season of good news for wild animals in captivity. I recently posted an article about SeaWorld’s announcement that it will be ending (some of) its killer whale shows. While this big announcement amounted to no more than media spin to deflect the public outcry raised by the film Blackfish, it does look like SeaWorld is eventually going to have to bow to pressure and end its captive orca programs entirely. Now, the U.S. National Institutes of Health, which has long been the government body tasked with approving research projects using chimpanzee test subjects, has announced that it will no longer be keeping a supply of captive chimps for this purpose. It will also continue to phase out all the chimp research funding it has, in the past, provided to outside facilities. Since 2013, the NIH has been in the process of reducing researcher reliance on chimps. Most of its 360 captive chimps were to be retired, with a group of 50 to be kept in case they were needed for future research. Now, in a document leaked by an NIH employee, the head of the agency has stated that these last 50 chimps would be retired, as well. Last June, the U.S. Fish & Wildlife Service listed captive chimps under the Endangered Species Act, making it that much harder for the NIH to approve them for research uses. In addition, any researcher wanting to use chimps would have had to show that the planned research would in some way benefit wild chimps. These strict conditions were apparently enough to deter new chimp-based research, because no new applications for chimpanzee projects were received after the status change went into effect. Some who would like to have access to captive chimps for use in studies to benefit wild chimps and other primates may be disappointed by this news. Chimp research has already been outlawed in many places. So, overseas researchers who, for example, wish to test ebola vaccines meant for wild chimps on their captive cousins may have trouble finding test subjects. The NIH’s director, however, believes that other species of primates still available to researchers can serve as suitable test subjects for these types of vaccine trials. The NIH is in the process of preparing a retirement plan for its captive chimps as well as those in other facilities it has been funding. View the Science magazine article here. I recently posted a story about the return of American bison to the state of Colorado. Looks like this great effort is shared with our brothers and sisters on the European continent. Thanks to Gordon Eaglesham for writing the story below. Three cheers for rewilding! Watch this beautiful video, and try not to cry. I dare you. There’s something about the power of wilderness to heal the wounded soul. From PTSD (post-traumatic stress disorder, a debilitating condition that plagues many veterans) to physical ailments like traumatic brain injury, spending time in the great outdoors can provide a great healing force. 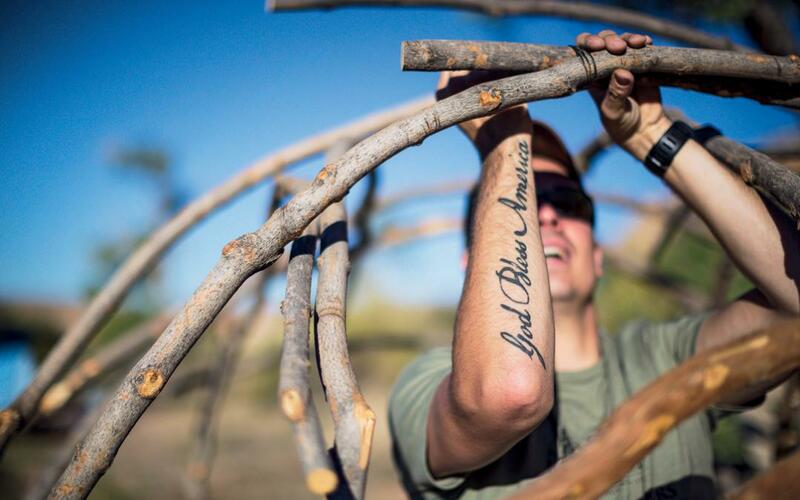 The Sierra Club’s Military Outdoors program aims to connect active military and veterans through backcountry adventures. It may seem intuitive that time in the outdoors can heal, but the Sierra Club is taking this work one step further. In partnership with the University of California Berkeley, they are collecting data on their veteran adventurers so that they can quantify how vets get better. The ultimate goal is to use this data to persuade the Veterans’ Administration to provide funding for nature-based therapy for wounded warriors. I really enjoyed this story of a group of vets undergoing a sweat lodge ceremony to release past traumas and visions of horror. From my own experience with the sweat, I know this can be a very powerful tool — one among many. 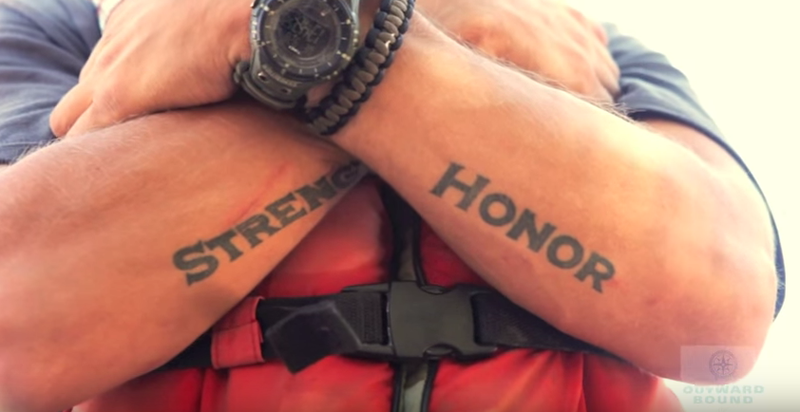 Here’s another great video, this one from Outward Bound for Veterans. This program works with the reality that adjusting back to “normal” life after the intensely bonding teamwork of deployment can be a process of grieving. These adventures for veterans and active duty servicepeople are one way to bring back some of that missing sense of belonging. Here’s something that’s not okay in any way, shape, or form: “More soldiers have died from self-inflicted wounds than service members died in combat between 2002 and 2013.” That horrifying fact comes from this recent High Country News feature on wilderness therapy for vets which also notes that in 2010, 6,000 vets committed suicide … 20 percent of all U.S. suicides.The V.A. mental health system is overwhelmed, and may not have access to the best tools for healing soldiers. According to a recent survey, one-third of veterans with PTSD or traumatic brain injury stop going to treatment, and another one-third never go to be treated in the first place. Clearly, our veterans need access to more meaningful healing opportunities than that which the federal government can currently provide. That’s why it’s so important for civilian society to step up. As with Sierra Club Outdoors and Outward Bound for Veterans, the Wounded Warrior Project’s Project Odyssey provides a series of nature-based odysseys to help vets in “overcoming adversity and finding the way home.” Project Odyssey’s goal is to help veterans struggling with combat stress move beyond it to reconnect with society and family. Veterans Expeditions, or VetEx, brings veterans into the mountains for training in mountaineering skills and camaraderie with fellow vets. 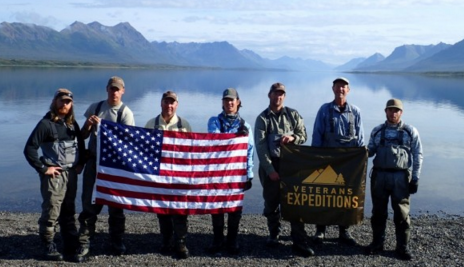 Although they are a small organization, they are able to bring several hundred vets a year on their expeditions, according to this National Geographic article about them. These and other programs are a great start. They are doing incredible work, and their reach will expand to more and more veterans who need their help. There is a large population in need, and so more programs are needed … who else wants to start a wilderness therapy program for vets?